When we come across a homeless individual or family, we subconsciously perceive an encroachment on our comfort zone – because homelessness in a thriving community just doesn’t fit. Our typically organized and patterned thoughts then begin to split off and out, like cards flying around a Vegas blackjack table: Why are they here?, How can they live like this?, What is being done?, Who is taking care of this? Should I give them something? Or will the money go to drugs? Will I be mugged? Where are the police? And, then, as we continue to see the same folks day after day, they are likely assimilated as part of the landscape, the routine. An encounter with homelessness challenges us at the deepest levels of who we are. Converging – and often conflicting – are an assortment of emotions, opinions, our spirituality, sense of civic duty, and our understanding of America as the land of freedom and opportunity. Therefore, it’s difficult to know how to best listen for and respond to the call to join a larger effort to address poverty, to initiate a one-on-one interaction on the street, or to simply have a change of heart or perspective. Each year, Augusta-Richmond County registers approximately 300 homeless people during the city’s annual point-in-time visual count of homeless individuals, which is submitted to the U.S. Department of Housing and Urban Development. 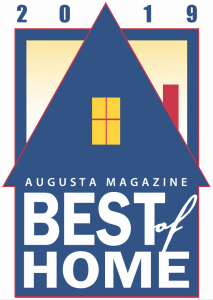 As of August 2018, Augusta Housing and Community Development estimates that more than 700 people are homeless in Augusta. More specific data show Richmond County schools identified 284 homeless students in 2017 and 258 in 2018; Columbia County identified 385 homeless students in 2017 and 312 last year. That’s why the Salvation Army is rolling out a new program called Pathway of Hope, which has been implemented in other cities and is based on a comprehensive strategy that addresses not only the individual’s choices and behavior but also assesses the other three causes that may be behind their situation. In October, the Salvation Army hosted a seminar to introduce the program’s framework and prompt business owners and members of the community to recognize the seemingly small things that we can do in our daily lives to minimize the impact of poverty in our city. Pathway of Hope hinges on a class called “Getting Ahead in a Just Gettin’ by World,” which will meet for the first time in Augusta this January. “We will start to learn about the community through the eyes of individuals in poverty [who are taking the class],” said Canning. The opinions and concerns expressed in class will be presented to a steering committee representing many sectors of Augusta, from government to corporations to small businesses. Of course, there is still a need for immediately connecting with impoverished individuals and alleviating their struggles in the moment. Golden Harvest Food Bank’s Master’s Table Soup Kitchen serves a hot lunch to more than 325 hungry people every day, 365 days per year in downtown Augusta. Contrary to what many may think, the majority of guests at the master’s table are not homeless. According to Christina Alexander, communications coordinator at Golden Harvest, there are “a lot of people who exist in a marginal area,” where they are struggling due to job loss or a major healthcare episode. These families often have to decide between going hungry or missing rent – to avoid both, many decide to put the money towards ensuring stable housing and then go to the master’s table for meals. The 6,200-square-foot master’s table facility features, in addition to a state-of-the art kitchen, prayer rooms, a courtyard, and an organic community garden – spaces that connect volunteers and guests alike and encourage a supportive, hopeful environment. “We’re trying to inspire healthy change one life at a time,” Alexander said. It’s spaces like these that – should you elect to volunteer for the master’s table or Pathway of Hope – will take you out of your comfort zone to discover something much greater about yourself, our community, and the human spirit.